Home > Publications > Do I Need A Shareholders Agreement? Many businesses with two or more owners are run as a company. Business owners are often concerned with running the business efficiently and professionally that they do not remember to have in place a shareholders’ agreement to protect their interests. A shareholders’ agreement will detail the relationship between them and how they will respond in certain events. Having a shareholders’ agreement in place will create certainty and will avoid costly and time-consuming disputes that can cripple any business. 1. Rules governing meetings and matters that require agreement by some, most or all of the business owners. 2. The process to follow when dealing with a shareholder who has died, become incapacitated or become insolvent or bankrupt. 3. A policy for funding or paying dividends. 4. Provide the procedure to follow when dealing with shares. 5. Provide a process to deal with disputes, to resolve deadlocks or how to deal with breaches of the shareholders agreement. 6. Outlining the restraint of trade and confidentiality between shareholders to ensure that a shareholder is not simply able to exit the business and set up another business in competition. 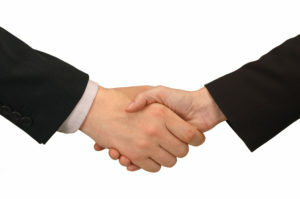 One of the main benefits of a shareholders’ agreement is that it will assist the parties in resolving a dispute. Without a shareholders’ agreement in place often the only option available to shareholders to resolve a deadlock is to commence legal proceedings. Where any business owners require assistance with preparing shareholders agreements please do not hesitate to contact one of our experienced Commercial Lawyers.